Terming these reports as baseless, Asad Umar wondered how media gets such news. 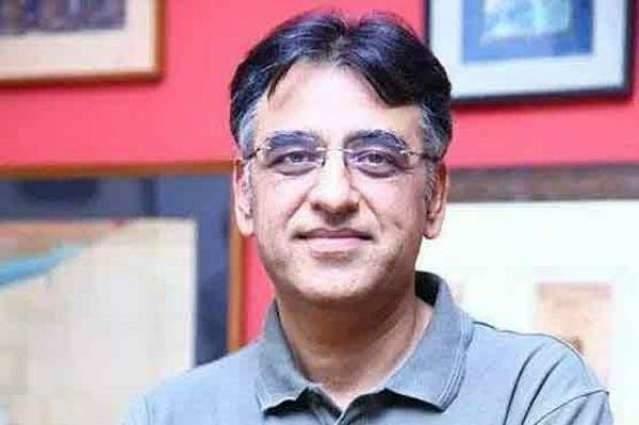 Lahore (UrduPoint / Pakistan Point News – 17th April, 2019) Finance Minister Asad Umar has termed reports of him being removed from the office as baseless. Reacting to the rumours of him being removed as finance minister, Asad Umar wondered how media gets such news. When the tv anchor claimed she also received a call from a minister saying that Asad Umar is being removed as the finance minister, he said that every party has people with different opinions. Some people like someone, others dislike. Earlier, there were reports that the Pakistan Tehreek-e-Insaf (PTI) government led by Prime Minister Imran Khan has made major reshuffle within his cabinet. Media reports said that at least five cabinet ministers have been changed, including finance, interior and petroleum ministers. Asad Umar has been removed as Finance Minister. He will be given the Petroleum Ministry instead. Moreover, Minister of State for Interior Shehryar Afridi will be replaced by PTI leader Ijaz Shah. The decision has been taken in view of the performance of the ministers. The Federal government has denied reports of a cabinet reshuffle. Spokesperson for Prime Minister, Nadeem Afzal Chan termed all such reports as baseless. He said that the prime minister questions the performance of ministers in every cabinet meeting. The prime minister reserves the right to make changes in the cabinet but for now, no ministers are being changed. Meanwhile, federal Minister for Information and Broadcasting Fawad Chaudhry while rejecting the reports said that no cabinet ministers are being changed. Only the prime minister reserves the right to make any changes in the cabinet, he said.